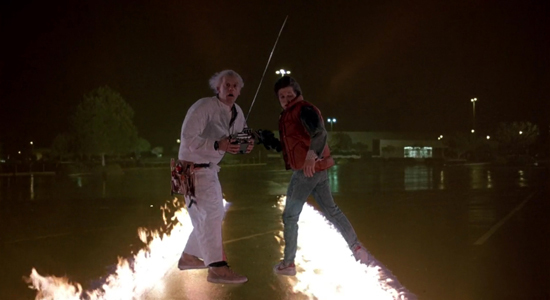 I've celebrated Back to the Future Day (the day Marty and Doc Brown arrived in "the future" of 21 October 2015 @4:29PM) by writing an article for Frame Rated: 'Fact to the Future: 30 Back to the Future Facts'. I hope you enjoy it! Please click here and do what you can to share! There's not enough BTTF content online today, see.